Did you know the modern city of Beijing houses an ancient city underground? The city erected during the rule of Ming and Qing dynasties lies beneath the modern city of Beijing. The host to the 2008 Summer Olympic Games, Beijing is the most visited cities on the globe. 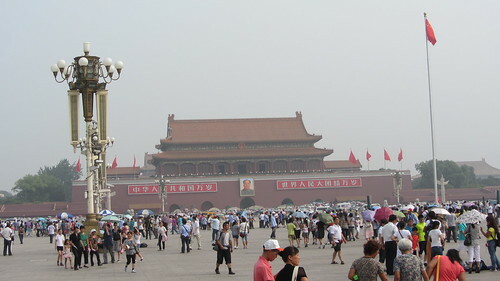 Tiananmen square and the forbidden city in front. Today, Beijing thrives to flourish as the centre for arts, culture, education and politics. The city to its west, north and south is surrounded by Hebei Province and Tianjin Municipality to its eastern side. Beijing is popular for its flat and regular land area. Only three hills exist within the city boundaries. They are located in the Jingshan Park, north of the Forbidden City. 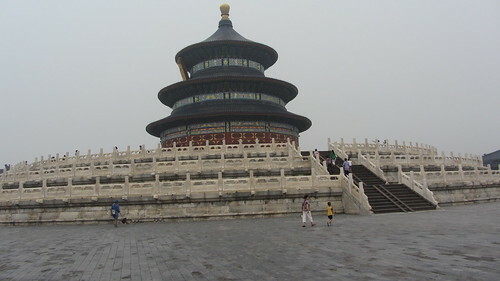 Beijing has a continental climate with cold, dry winters and hot, humid summer months. The best season to visit the city is between September and October when the autumn is in its full youth. The spring season is stormy and dusty and usually dry and warm. The customary winds from the mountains on the southern side brings along the pollutants responsible for poor quality air during the summers. The mercury never hesitates to rise over 35 °C during summers. Interestingly, the tourist crowd is at its peak during the summer months as well. Winters are dry, cold and snowy as temperatures easily drop below −10 °C, yet the snow capped tress and the streets adds charm to the city. 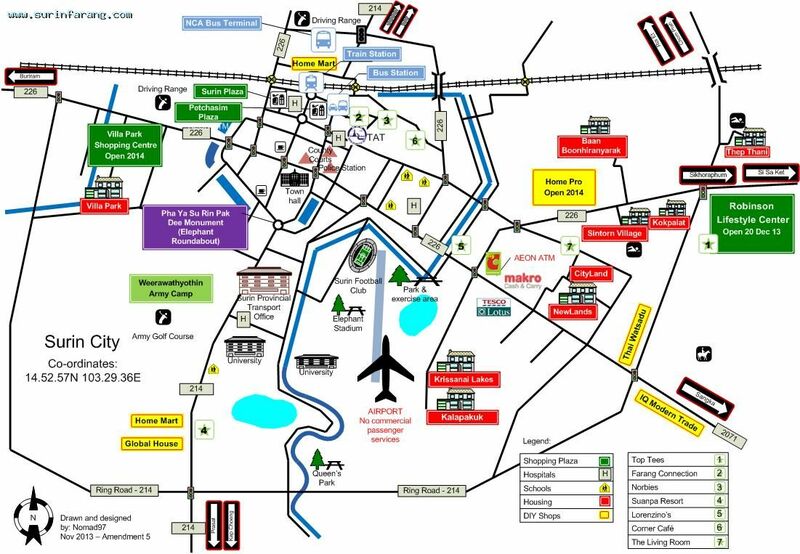 You arrive at the Beijing Capital International Airport which is located 26 km away from the Beijing city centre. You can take the airport shuttle or public bus #359 running to and fro between airport and Dongzhimen. Subway 2 or 13anaywher within the city boundaries will lead you to the airport, but is not a convenient or fast way. You can travel within and outside Beijing by hoping onto a train from the numerous railway stations spread across the West, North, South and Central areas of the city. Beijing is highly inaccessible by the public bus service. You can enjoy the downtown by hiring taxi services. However, they are the most expensive mode of travel. You may inevitably encounter a tout, yet refrain from using their services as they fares tend to get significantly higher. You can rent a vehicle while visiting the city. Alternatively you can contribute your bit to the environment by pedalling your way in and out of the city. You can discover Beijing’s traditional architecture in the ancient allies of Hutongs. Enjoy the eight sections of the Great Wall around Beijing, most of which are in perfect condition and offer distinct architectural style of the Ming dynasty. 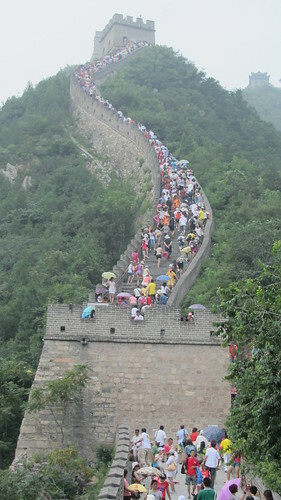 Badaling is the closest place to see the Great Wall from Beijing. It is about 70 km. But it is VERY crowded. Forbidden City is an appropriate starting point to begin your tour to the city. This palace is spread across 250 acres and contains 9,000 rooms exhibiting unique and marvellous architecture of different dynasties reigning the area.